Important info to be discussed at tomorrow’s EDI Work-group meeting. Slides for the upcoming EDI work-group meeting scheduled for June 21st, 2017 11:30 am – 12:30 pm are attached. A number of important updates are included. Vendors and Agencies are encouraged to join. 1. 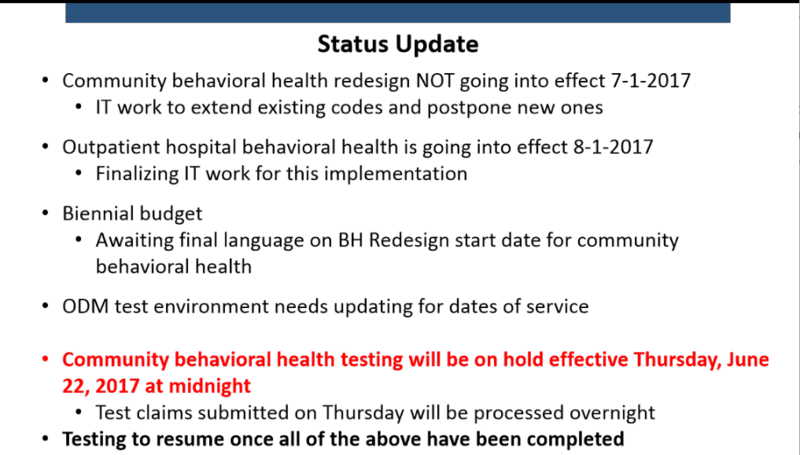 Community Behavioral Health Redesign will not go live July 1st. Go live date will be determined by the budget language being finalized currently in the Senate. Their preliminary budget guide released last Monday included honoring the request for the BH Redesign to be delayed until January 1st, 2018. The Managed Care transition would also be moved to July 1st, 2018. Final dates will be released when the budget is finalized. 2. Hospitals will have the ability to provide Outpatient Behavioral Health Services from the Redesign package effective August 1st, 2017. 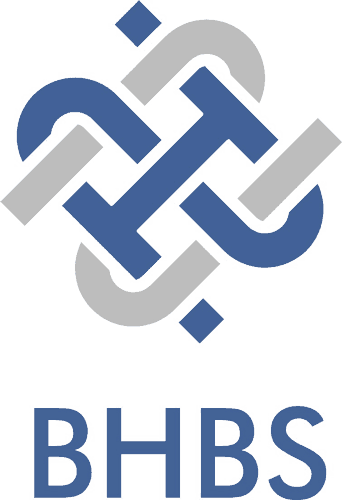 This will include some certification guidelines that will apply specifically to Hospitals and Inpatient Hospital settings. 3. Redesign testing will be shut down temporarily after Thursday, June 22nd, 2017 at midnight. Claims submitted on Thursday will be processed prior to the shutdown. 4. Apparently a number of providers are upset by the proposed delay. More detail is included in the white paper published to the Medicaid website. 5. In response to Medicaid’s released white paper, The Ohio Council released their documented response. Link available here. Also included in the slides is an update on Registered Providers as well as Affiliated Providers. Currently, there are still 117 BH Providers without Affiliated Providers which are needed for the Redesign. 45 agencies of the 117 were identified as not having recent billing which may indicate they are not active providers. For more information, complete the contact us form below.